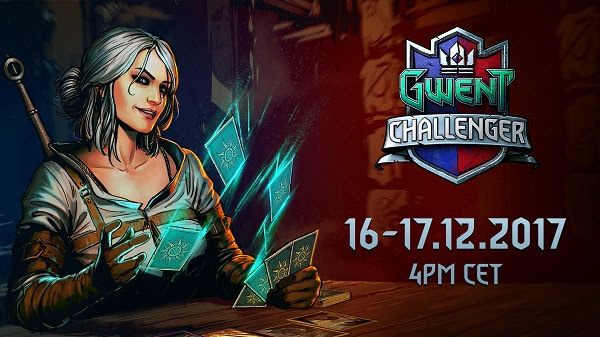 This weekend, you can watch the December 2017 Gwent Challenger event, CD Projekt Red’s big esports-y qualifier for the Gwent World Masters, on Twitch. Even better, just tuning in to the official stream — or other qualifying streams — will earn you free loot via Twitch Drops. The tournament runs on Saturday and Sunday and will be streamed via the official CDPR Twitch channel. Eight of the world’s best players will vie for the opportunity to compete in the Gwent World Masters, which takes place all the way in 2019. As an added incentive, CDPR is partnering with Twitch to award players titles and in-game items for tuning into Gwent streams over the weekend. To receive prizes, you’ll have to link your GOG and Twitch accounts and then watch a certain number of hours of the tournament, or any qualifying Gwent Twitch stream — one with at least 100 concurrent viewers — over the weekend. Full details on how to get involved, as either a viewer or a streamer, can be found on the Gwent site.